1/30/19 - Lake Siskiyou and Mount Shasta provided an amazing backdrop and fantastic fishing yesterday for Phil and his Son. 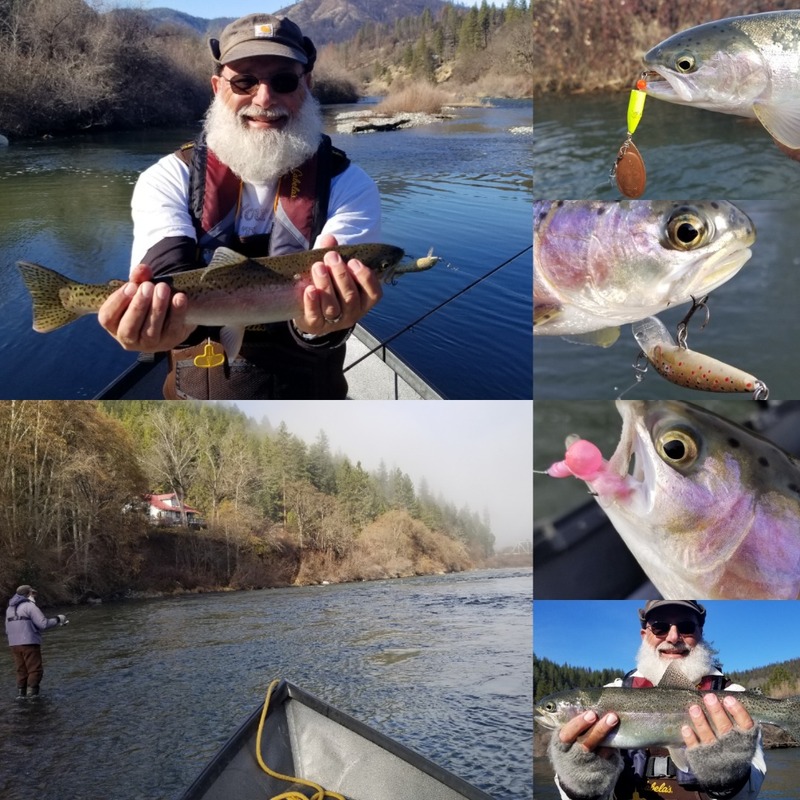 Glassy water, biting Browns and Rainbows, mild temperatures and shining sun all blended together for great trip. Trolling plugs dipped in Pro-Cure bloody garlic tuna was all we needed to keep the Trout biting. Lake Siskiyou is a small body of water and we trolled around the entire lake multiple times at speeds of 2 to 3.5mph. The Trout were all caught from the surface down to 25 feet. Water temperature on the surface was 39 to 42 most of day, so swimming isn't an option right now haha. Don't let Winter get you down I have some fantastic bodies of water to choose from; Lake Siskiyou, McCloud Reservoir, Shasta Lake and Klamath River. 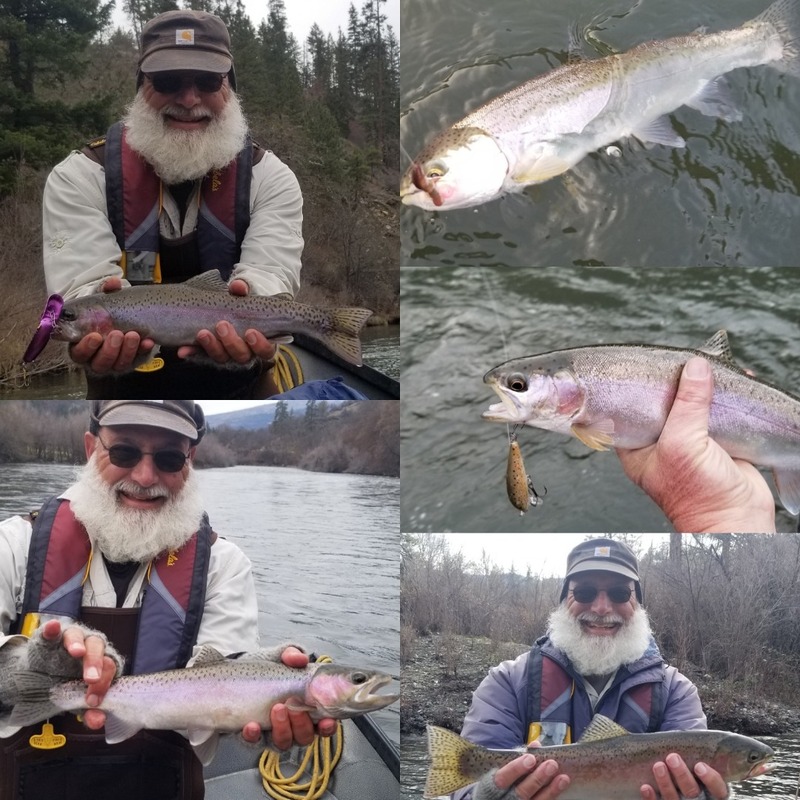 These waters often provide steady action, good meals and a lot of fun even if the weather doesn't cooperate.